Isidore Mvouba is a Congolese politician who was Prime Minister of Congo-Brazzaville from 2005 to 2009. He is a member of the Congolese Labour Party and held key positions under President Denis Sassou Nguesso beginning in 1997. 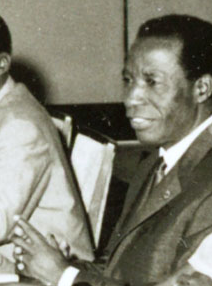 Alphonse Massamba-Débat was a political figure of the Republic of the Congo who led the country from 1963 until 1968. Claudine Munari Mabondzo is a Congolese politician. She was Director of the Cabinet of President Pascal Lissouba from 1992 to 1997. Although Munari fled into exile when Lissouba was ousted, she later returned to politics in Congo-Brazzaville; she was a Deputy in the National Assembly from 2002 to 2009 and was also the Second Secretary of the National Assembly from 2007 to 2009. From 2009 to 2015, she served in the government as Minister of Trade. 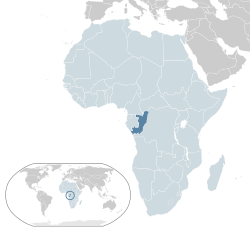 A presidential election was held in the Republic of the Congo on 12 July 2009. 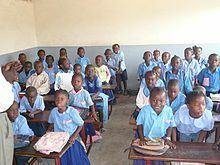 Long-time President Denis Sassou Nguesso won another seven-year term with a large majority of the vote, but the election was marked by accusations of irregularities and fraud from the opposition; six opposition candidates chose to boycott the election. Charles Richard Mondjo is a Congolese military officer who has served in the government of Congo-Brazzaville as Minister of Defense since 2012. Previously he was Chief of Staff of the Congolese Armed Forces from 2002 to 2012.